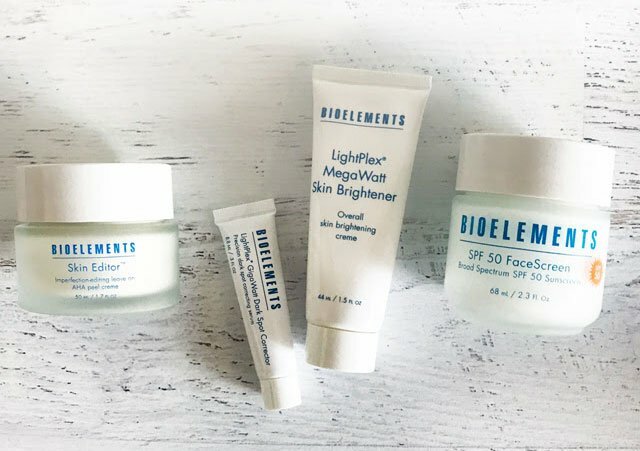 How do you solve Hyperpigmentation? Exfoliate – Regular exfoliation removes the upper “crust” of skin so active lightening ingredients can penetrate better. It also speeds up cell turnover so dark spots face fast. Lighten – Brighten dark damage with LightPlex MegaWatt Skin Brightener and LightPlex GigaWatt Dark Sport Corrector. Both use a breakthrough blend to brighten only pigmented areas without lightening surrounding skin. Protect – At the end of the day, even the best hyperpigmentation products will be useless if you don’t protect your skin from UV damage. 2/3 of all UV damage is incidental, so wear a broad-spectrum SPF every single day. Learn more on the Bioelements website.